JetJerry does it again, and shows that not all Instrument Lessons need take an entire afternoon. This one is short, sweet and very informative. Click on the pic to download the video - the few instructions required are contained within the video itself. JetJerry, EPOCH Alaska Air's Cheif Pilot, along with Dirob, an Instrument Instructor-In-Training have developed a tutorial that teaches the use of NDB along with co-located DME for use in IMC (Instrument Meterological Conditions). 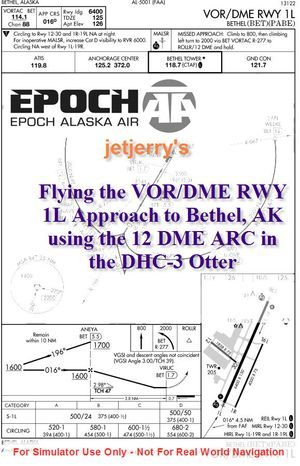 There are a good number of DME stations available in Alaska, and JetJerry wants to ensure that the line pilots of EPOCH have every technique available to ensure the safe conduct of flight, especially during the winter months when so many days are IFR only. As an added bonus, Jerry has identified a number of DME's that exist in the real world but not in X-Plane, so has published a 'fix' to be incorporated into your X-Plane Resources. Specific instructions are included. Be sure to read the detailed "ReadMeFirst" file included in the .zip package. Click the pic to download the file, and enjoy. Jetjerry has been busy at work again. This time he has collected together the necessary tools to perform a standard Instrument Departure from PAAQ, Palmer Municipal, Alaska. All .pdf files and all vital to understanding this, the one that stands out is the EPOCH Flight Planner Nav Log. Also includes Climb calculator and rate of climb table, the standard departure procedures (all AK but PAAQ highlighted) and the standard Departure Plate (thanks to FAA). Click the Pic to grab this small yet important download. 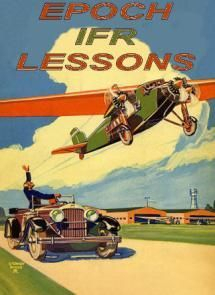 This new series of lessons by our one and only Chief Pilot, jetjerry, has him collaborating with another of our fine members, ottopilot9, to develop and deliver a series of primers to aid the bush pilot in functional IFR. Although most of our pilots at EPOCH fly using Visual Flight Rules, Alaskan Weather sometimes necessitates the movement of people and/or goods through Instrument Meteorological Conditions (IMC). 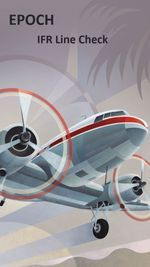 Thus, the pilot with an Instrument, or IFR rating, has the opportunity to perform more work safely and surely as they ply the ever-changing skies of this wonderful bush flier's paradise known as Alaska. 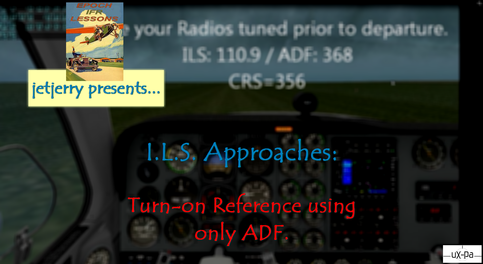 Please click on the picture to the left to download the zip file containing an Adobe Reader file and videos that will guide you through this second exciting adventure into working with IFR charts and ILS Approach Plates. Please click on the picture to the left to download the zip file containing an Adobe Reader file that will guide you through this first very exciting adventure into working with radio navigation gear. Then get your Custom Scenery below. Once you download the files, merely unzip the main folder where you will see 2 zipped folders. Unzip each of them and copy the unzipped folders directly into your Custom Scenery Folder. Our very own EPOCH Alaska Air's Chief Pilot has done it again! 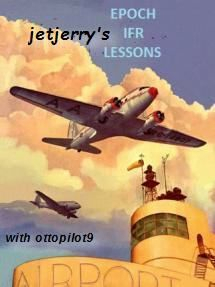 This time jetjerry has decided that we all need to be up to speed on some standard Instrument Approaches and has designed and built a full tutorial with videos, pictures and support documents to either begin training those of you who fly VFR only or to give a bit of a rust remover for those who are already Instrument Proficient but would like a brush up on techniques. The tutorial assumes a knowledge of the basic function and setting of the instruments and radios used in the cockpit. jetjerry doesn't leave the first-timer stranded though. We are strong supporters of retired pilot Hal Stoen, who maintains a website full of aviation related tutorials and supports, and the included document has links to this. Using the much-enjoyed DHC-3 Classic Otter from Shade Tree Micro Aviation (STMA), jetjerry leads us through an inbound trip to Bethel Alaska from Kasigluk with a load of cargo. Approaching PABE though, the weather deteriorates to the point where an instrument approach is the only safe alternative, and PABE has published instrument approaches (see Skyvector for actual free plates in .pdf format). 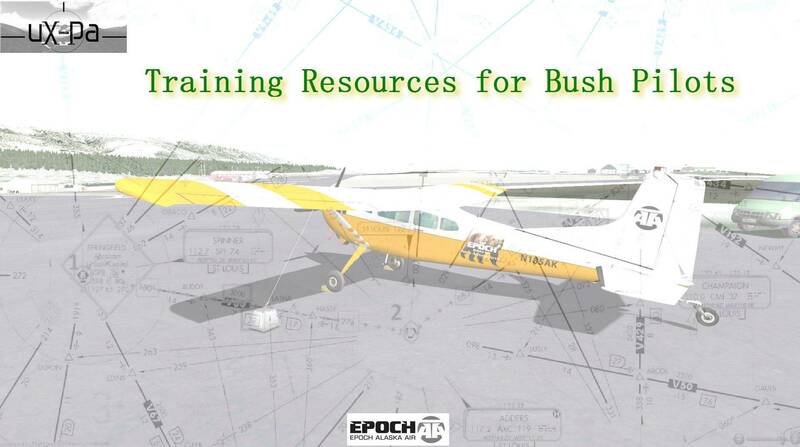 For those of you preparing to fly EPOCH jobs, this knowledge is critical to the safe conduct of your contract flying. This scenario plays itself out with great frequency in the mighty State of Alaska, becoming the norm rather than the exception. Get Real! Grab your tutorial kit right now by Clicking on the graphic to the left! This download includes all video components, documents and pictures. Videos are in .wmv format (playable in most media players). Documents are in .docx format (MS Word format fully readable by the freeware Open Office Writer). Pictures are in .jpeg format.